Today there is no real story except that I spent waaaayyy too much time yesterday on my write-up about our Coffee District tasting on Saturday. And it's still not done. Clean Plate Charlie beat me to it, but he's a real journalist! Phil from DosBeerigos beat me to it (BTW, for all of those interested, that is the back of my head with the Phillies cap on)--he's already posting our joint reviews that he talked me into. MikeLovesBeer? Nope, not yet! But it'll only be a matter of time. So what's taking you so long, Beer Drinker? Jesus! It's a novel: long and entertaining, with many nuances and twists and turns. I'm still stumbling across new pieces of the puzzle to add every hour. Soon, I promise! However, The 24 Season Finale is two hours tonight and the Flyers are on in one hour, so you'd be lucky for a publish tonight. Go Flyers! Since I'm not sure about that post being published later, I decided I better do a review for you needy people. 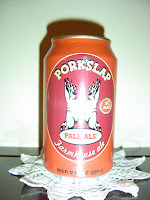 Tonight I am drinking Porkslap Pale Ale brewed by Butternuts Beer & Ale in Garrattsville, New York. 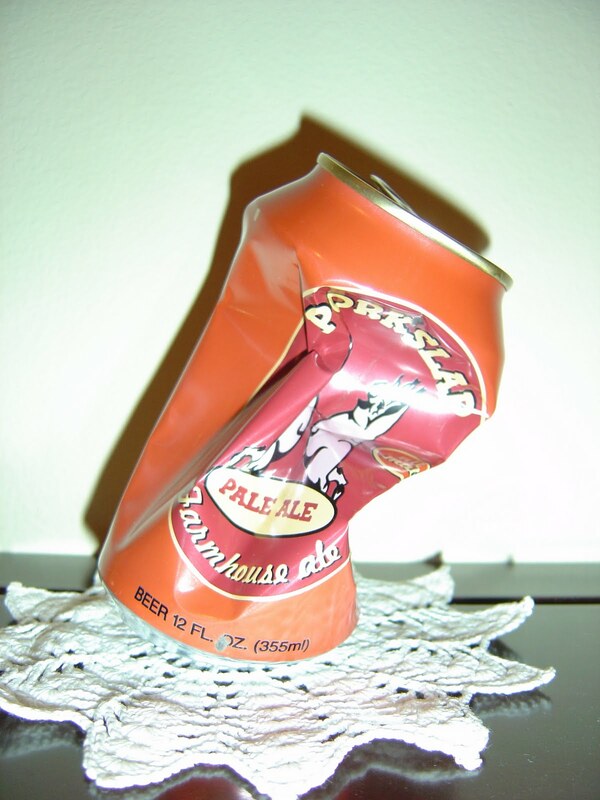 This beer comes in a pumpkin-orange can. 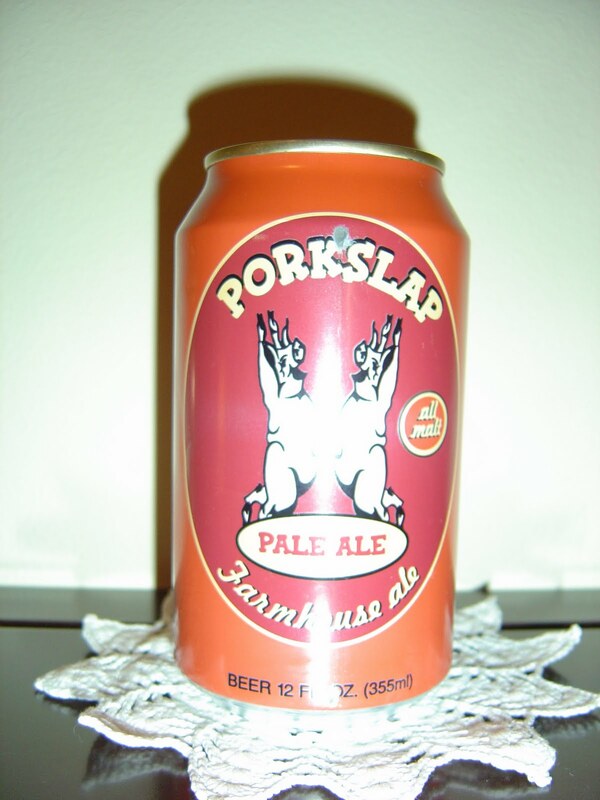 The artwork on the can depicts two pigs high-fiving! Two other notes the can has: "Farmhouse ale" and "all malt". My friend brought this home with him from DC a few weeks ago. Thanks as always! Light fruity aroma, with a little malt. Caramel malty flavors, along with some grains, start things off. But then some bittering pine and off medicinal and metallic flavors ruin the rest of the beer. Yes, they stick around forever. Watery and a little flat, which is odd because there was decent head when I poured it. Yuck aftertaste! 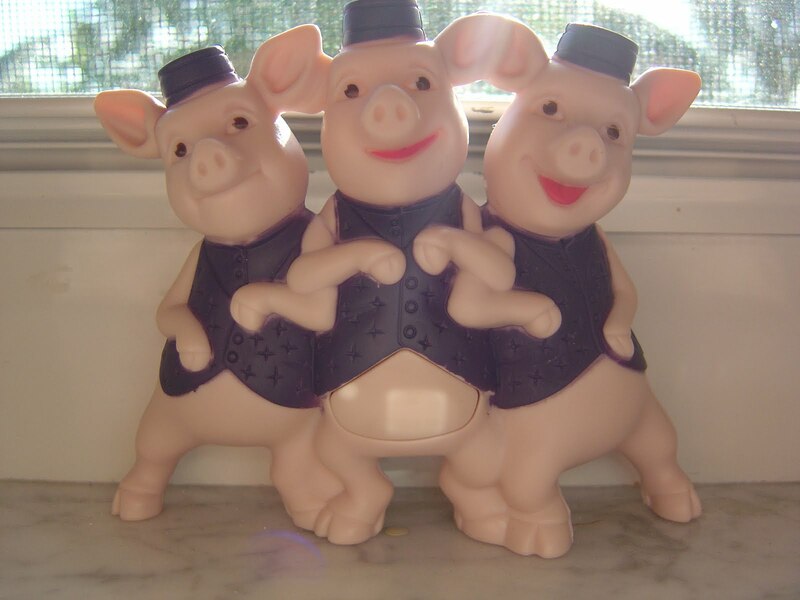 Good novelty with the pigs and name and can but don't be fooled and pass! Before and After: you know this makes me feel tough! I'd crush that one too. I know a guy who used to work there and now he makes stellar stuff! Your friend brews professionally? 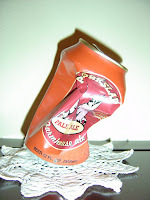 This beer wasn't that good, and I have two other cans from there. I'll probably crush both of those, too. Good or bad. It makes me feel strong!